Tilia is a genus of thirty species of trees native throughout most of the northern hemisphere. 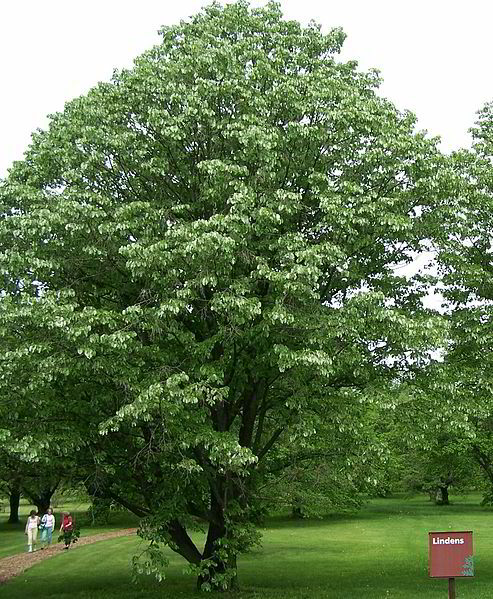 Tilia species are large, deciduous trees reaching 65-130 feet tall. Tilia Tomentosa, Morton Arboretum (Chicago), photo Bruce Marlin. The Tilia's trunk is sturdy and stands like a pillar, as the branches divide and subdivide into numerous branches with thick twigs attached. 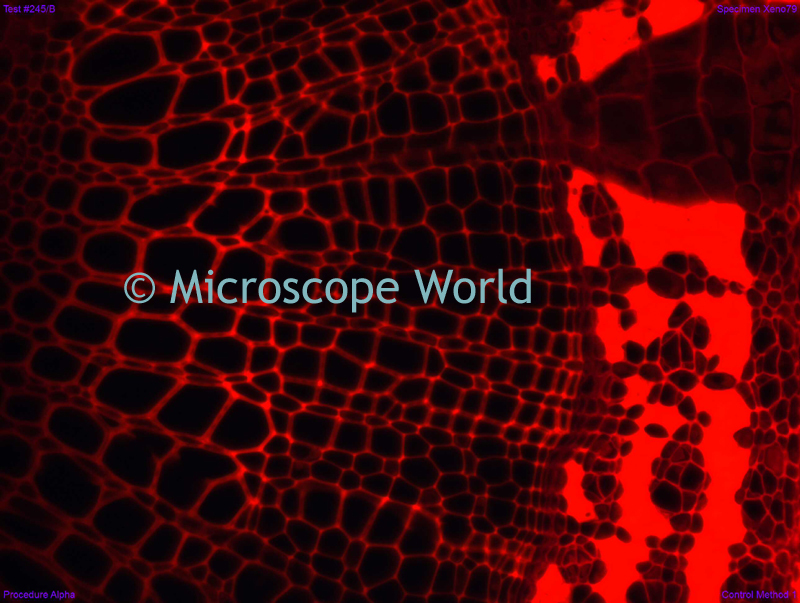 Tilia Leaf - photo Roger Griffith. 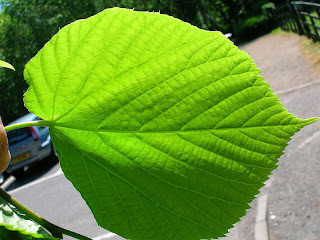 The leaves of Tilia are heart-shaped and most are asymmetrical. Aphids are often attracted to the rich supply of sap. 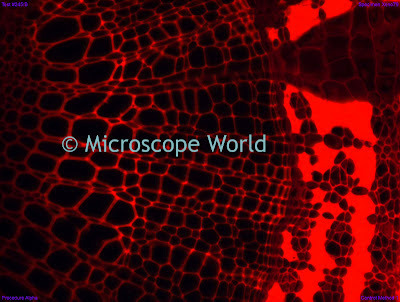 This cross-section of Tilia was captured using the MT6200 epi-fluorescence microscope and the ProgRes Speed XT5 microscope camera. The fluorescence image was captured using a TRITC filter.